Dispose of HHW & E-Waste Properly! The County of Los Angeles Department of Public Works provides free, one-day, periodic collection events. Make sure to visit us on June 18th at American Honda! 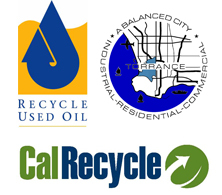 The City of Torrance will be hosting a HHW & E-Waste collection event from 9am to 3pm. In addition, all residents of Los Angeles County may utilize the City of Los Angeles S.A.F.E. permanent collection centers (various), the Antelope Valley Environmental Collection Center (in Palmdale) or EDCO Recycling and Transfer Center (in Signal Hill) to properly dispose of HHW/E-Waste FREE of charge.